San Polo di Piave/Italy, April 2019 --- HRScool is an innovative solution for hot runner injection molding, in which the otherwise necessary water cooling of the corresponding actuator can be dispensed with. The key to this is the twice optimized temperature management system, in which insulating supporting columns with a minimal contact surface reduce the input of heat from the hot runner to the cylinder housing. This, in turn, is provided with a cover with a large, flat surface made of thermally conductive material. The integrated telescopic design enables maximum heat dissipation from the cylinder to the cold platen. The many advantages derived from using HRScool come about because there is no longer any need for elements such as cooling lines, channels and connections that are otherwise necessary for active cooling. Consequently, assembly and handling costs are reduced. Machine availability increases because problems with clogged cooling circuits and the degradation of hydraulic fluids can no longer occur, thereby lowering operating costs. 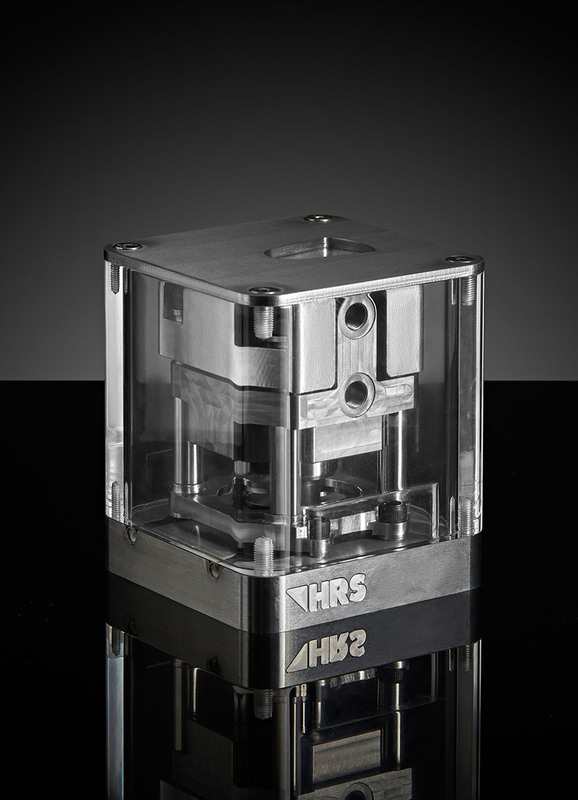 Furthermore, the compact design of systems with HRScool takes up less space in the molding tool. Because this results in an optimum uniform temperature distribution along the entire hot runner system, higher molding quality can be achieved and, thanks to the bayonet coupling, the valve pin can remain in the hot runner system when cylinders have to be removed. HRSflow (www.hrsflow.com) is a division of INglass S.p.A. (www.inglass.it), headquartered in San Polo di Piave/Italy. It is specialized in the development and production of advanced and innovative hot runner systems for the injection molding industry. The group of companies has more than 1,100 employees and is present on all the major global markets. HRSflow produces hot runner systems at its European headquarters in San Polo di Piave/Italy, in Asia at its plant in Hangzhou/China and at its facility in Byron Center near Grand Rapids, MI, USA.